A high percentage of infidelity occurs in an institution referred to as “sacred”. Most couples enter their marriage with the idea of staying faithful to one another for the remainder of their lives. Those dreams shatter approximately 41% of the time, according to InfidelityStatistics.com. One or both partners in 41% of marriages in the United States admitted to having an affair. The affair may have been emotional or physical. Both types of affairs have an injurious affect on marriages. People who have affairs outside of their marriage wandered for a reason. The reasons vary with one common factor. They are trying to fulfill a need that has been void in their marriages. What the void is depends greatly on the person who is having the affair. A number of those who had emotional affairs often took it to the next level. InfidelityStatistics.com shows very interesting facts on the subject of the matter. Vulnerable times during a marriage include after the first year of marriage, having children, after being married approximately five to seven years and during mid-life. 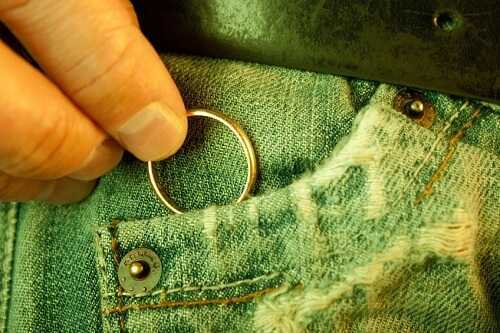 It is curious that much infidelity occurs after only a year of marriage. This is of particular interest because it would give the impression that the marriage would not go stale that rapidly. Unfortunately, that is not the case with many couples. Taking a closer look at each of the situations can give a clearer picture of the break down that causes infidelity to start with. After the first year of marriage, couples are much more comfortable with each other. That sounds like a good thing, however, consider what happens when people become too comfortable. Couples who have been married for more than a year do not go to extremes to dress for each other or even groom themselves as well. Example: A woman is less likely to go out of her way to put on make-up. A man is less likely to put on a dress shirt, replacing it instead with a flannel shirt and baseball cap. An affair this early in a marriage can go virtually undetected. People tend to think that everything is still all right in this early stage of marriage and therefore ignore the obvious warning signs of an affair. This makes it much easier for a cheating spouse to get away with having an affair without consequences. Couples are less likely to talk to one another about everything. They tend to run out of things to talk about. When couples first begin the relationship, they are learning about each other’s past, present and future. As time passes, there is less and less of things to tell the partner about. Men tend to feel a bit left out after a child is born. His wife is so intent on the baby that she often neglects the husband’s needs. That does not necessarily mean physical connections. It also means emotionally. The wife is often too tired to enjoy the company of her mate when she has to deal with a crying baby. It can work in the reverse as well. There is far less freedom to do the things that the couple once did. For instance, couples cannot simply go out for dinner and a movie. The couple must find a babysitter. In the worst-case scenario, the “date” has to be cancelled because the child gets ill or the babysitter cancels. These things play a direct role in extra-marital affairs. It is called the seven-year itch. There was even a movie about it starring Marilyn Monroe. People tend to get discontent with their lives in general around five to seven years after becoming married. It happens to both men and women. People change a great deal in five to seven years time. It is a natural process. People are supposed to grow and change. The problem is when one partner does not like the changes that the other partner has made in his or herself. This creates an environment that the dissatisfied partner uses as an excuse to have the affair. Mid-life is one of the main reasons people use for having an affair. When a man is going through mid-life crisis, he does erratic things. It is not always an affair. Affairs are one of the first things people think of when they think of a man going through a mid-life crisis though. Women go through mid-life crisis when they get closer to menopause. Closer to the end of their lives than ever before, people begin to think of all the things they missed out on. It is a perceived notion more than an actuality. That is of little significance. The perceived notion is real to the person experiencing it. Affairs are one of the most difficult things to work out between married couples. It is a matter of trust. When one person has an affair, the other person is not always open to forgiving the errant partner. For those who try to work it out, regaining trust is much more difficult than either partner realized it would be. This is the reason that infidelity in a marriage causes the result of an affair to be a divorce. There are two options when an affair is discovered in a marriage. Neither option will make the affair any less painful for the “victim”. Discovery of an affair is extremely painful, especially when it takes the wronged person off-guard. This still only leaves two options for couples faced with this difficult situation. If the couple decides to continue in the marriage, it will take a great deal of work to get the relationship back on track. There are no guarantees that the couple will be able to move past the affair, but the option is well worth attempting. Many couples are able to find the proper type of counseling and if they are truly dedicated to making the marriage work, can do so with great success. These couples find that the relationship becomes stronger than ever before. That is how things in life are. The most difficult times to get through are the times that make people stronger and wiser. Married couples have invested a great deal of time with each other. They have built a home together. There was once a strong enough attraction at one time, otherwise they couple would never have married in the first place. The alternative to working things through is to separate and consider divorce. Ending a marriage, no matter what the reason is very difficult for both parties. Divorce can become extremely hideous when one partner has committed betrayal of this magnitude. The focus tends to lean towards things accumulated during the marriage rather than the love that once existed. A divorce should not be entered into lightly. Betrayal of this nature is highly discouraged yet widely practiced. Having an affair does not come without consequence. Among the consequences are guilty feelings, mistrust, loss of the marriage, harm to the spouse, harm to children and harm to the other person involved in the affair. The only way to elude the consequences of infidelity is to remain faithful to one another throughout the marriage.